Listening: I just got Faithful by Alice Hoffman and I'm really looking forward to it. Watching: I did a "Best of" rewatch of How I Met Your Mother but J and I haven't really settled on a show to watch together. I'm thinking we might give River on Netflix a try. Anyone watched that one? Friday night we took Eleanor and her husband out to the Melting Pot to celebrate their wedding. It was a lot of fun but so much food! It doesn't seem like much because everything is just small bites but by the end I was stuffed. We're still dealing with the whole mailbox catastrophe. I'm not enjoying having to pick up my mail every few days! We're also getting quotes which I hate doing because I always feel bad about not hiring someone if I like them and it seems like they really want the job. And there's always the fear of making the wrong decision. We are going camping next weekend and then the week after we are heading to Disney World! I'm so excited but I've got so many chores and errands to get done with both trips that my to do list is getting a little unmanageable! I love Sheila Connolly's Ireland series...and I read a book I enjoyed by Ariel Lawhon. I also enjoyed Faithful. Thanks for sharing, and have a great week. I watched an episode or two of River on Netflix, and then got sidetracked by something else. I'm going to give it another try. Ooh Disney World's coming up! Hope you guys have a great time! I'm kinda looking for a new show on Netflix too, I've been doing some rewatches but as far as trying something new, I just don't know. We end up watching a lot of the documentaries since they're pretty relaxing and fun to watch. Hope the mailbox thing works out soon. and have a great week!! Oooh! I hope you have fun at Disney World! I have only listened to Sheila's Relatively Dead series and it's not your normal cozy series and I have had my eye on her Cork County series and really need to try it. I tried to watch River and if I remember right it was kind of strange and I didn't last long...lol. Could just be I wasn't in the mood so if you try it I will be curious what you think. Oo a Disney trip sounds so fun! Even if it feels terribly far off right now. I've never heard of River! I'm currently working my way through The Paradise on Netflix and loving it (it's a drama based off of a novel by Emilie Zola about the world's first department store!). I Was Anastasia sounds very interesting. I don't know much about Russian history, so I think it would be fun to find out more. Happy weekend, Katherine! I Was Anastasia does sound really good as do your two new cozies. I hope you enjoy all of them! I hope you are enjoying Sleep Like a Baby. It's an Aurora Teagarden mystery, right? I hope you have a wonderful time on your trips! Congratulations to your daughter, again! I hope you are able to find someone you like to fix the mailbox. 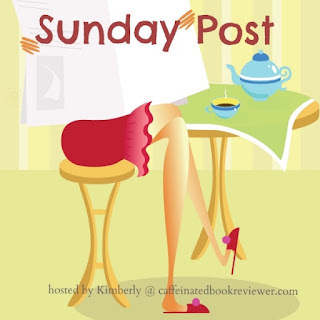 I know when ours was damaged and I had to pick our mail up and the post office, I was only able to go once a week because of where the post office was and my work hours. I hated it. Such an inconvenience! So, I can sympathize! Have a great week, Katherine! Oh, I haven't seen I Was Anastasia - that looks like one I'd like a lot! You books sounds really good. Have fun camping and I hope ya'll have a blast at Disney. I loved Faithful on audio!! Stick with it if you don't like it at first - it gets better. HIMYM <3 I haven't been to the melting pot in forever but always enjoy it. Have fun camping and at Disney. Have a great week! I have GOT to start reading Connolly's mysteries. I have a bunch on my Kindle (well, 2 or 3, anyway) but haven't gotten around to them. So many books, so little time! Best of luck with your mailbox repairs. I sympathize; I hate trying to pick a company to do repairs or whatever. I'm always worried I won't choose well. We were at Disney World a few months ago and loved it! What a fun place...just like advertised :) Hope you have a great time and a great time camping. Sheila Connolly is one of those authors whose books look so good and I've been dying to try them. I'll have to get around to it soon. I Was Anastasia sounds interesting. I've also been fascinated with Russian history and I added this to my TBR. I hope you enjoy it. I would be excited too if I was going to Disney World. One of these day's I would love to take the family there. I hope you have a great week! The mailbox catastrophe sounds a massive pain:(. 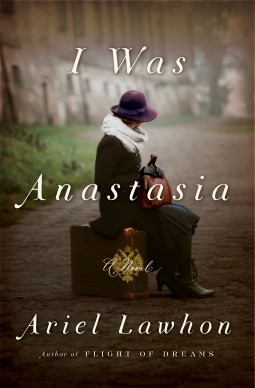 I do like the look of I Was Anastasia and look forward to seeing what you think of it. And no wonder you're looking forward to going to Disney World - I have always wanted to make it to Disneyland, Paris but never yet managed it. I hope you have a great week, Katherine:). Curious about the Lawhon book. Sounds good. What fun trips you have in the weeks ahead! Man I haven't been to the Melting Pot in YEARS! Sounds like a fun time :) Good luck with the mailbox, it's stressful having to make those kinds of decisions. And yay! two trips! I'm sure it's stressful, just focus on the fun you'll be having ;) Have a great week! I don't think I've heard of River, I'll have to look it up. Ohhh sounds like a fun trip you have planned. Hope you have a great time! You are so organized! I have no idea what's coming up on my blog. I just wing it. I'm going to look up River also. We're always looking for a good series to watch together. I have been very tempted by I Was Anastasia because it sounds really good. I am sorry about the whole mailbox situation. It will probably end up being quite the process. I have always wanted to try The Melting Pot but have worried about whether it would be enough food. It sounds like it would. Have a great week! That sounds like such a sweet night out celebrating! I've never been to The Melting Pot, but I think I'd like to try it at least once!